This year has been huge in terms of Cancer Research. In January, VP Joe Biden announced he would be leading an initiative called the National Cancer Moonshot, in hopes to improve research, fight cancer and eventually end it for good. 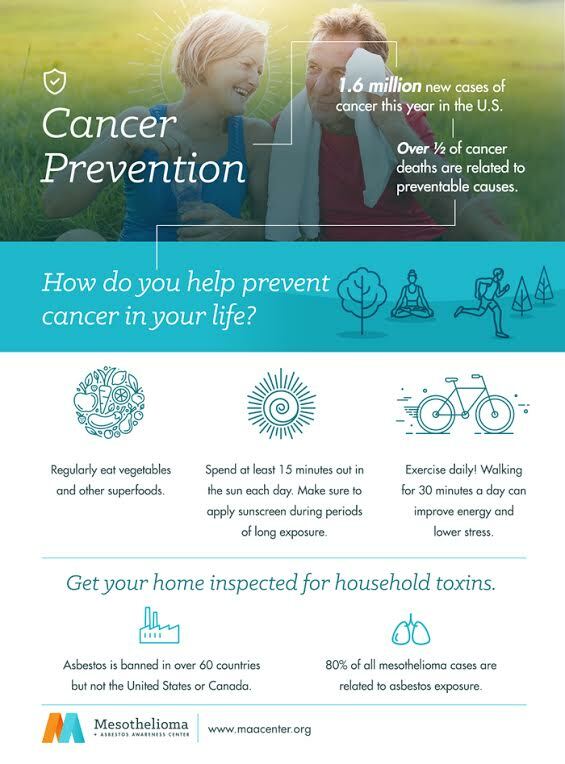 Also, February was Cancer Prevention Month – and while it’s long passed, it’s still a topic definitely worth talking about! In some cases, unfortunately, cancer is not preventable. However, there are simple steps we can take to lower our risks of certain types of cancer! This post will give a brief summary of those topics. Cancer touches so many lives, so hopefully one day we can end it through prevention efforts, as well as improved research and treatment! See our tips here and please feel free to share your own! 1. Healthy Eating: Eliminating harmful chemicals and carcinogens from your food can decrease your chances of different types of cancer. Limiting processed foods and red meat is a good practice, while also getting your daily dose of fresh fruits and vegetables. 2. Exercise: It’s as easy as 30 minutes a day! Walking, jogging, and running are all great ways to exercise, or you could opt for weightlifting or sports. 3. Weight Management: Fat cells can affect cancer growth. Maintaining a balanced diet, and exercising daily can help keep a healthy body weight. 4. Avoid Household Dangers: Make sure to check your home for the following household dangers. a. Gases: Carbon Monoxide and Radon are harmful gases that you should monitor in your home. You can buy detectors that let you know what the levels are so you can make sure you’re not ingesting an unhealthy amount. b. Lead: Have you paint checked for lead! This can chip off walls and windowsills and is easily consumed by small children and even animals. 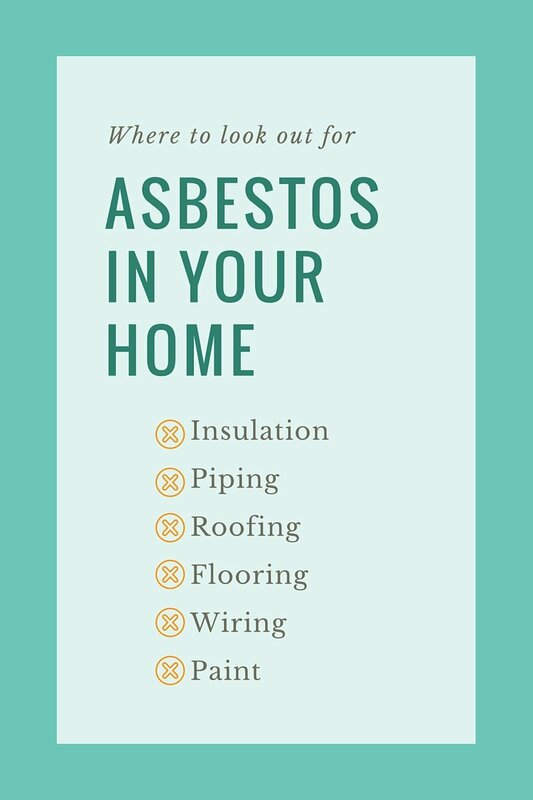 c. Asbestos: This fibrous material was used in many home products, especially in homes built in the 1970’s or earlier. It can cause a very rare cancer called mesothelioma. To learn more about the cancer read here, and check out the list below of common places to find it in your home. As I mentioned, the Cancer Moonshot is an initiative to help stimulate cancer research efforts, leading to better treatment and eventually the prevention and cure to cancer. It may seem impossible, but like many things, if we all put our best efforts in we can eventually get to the goal: NO MORE CANCER! The Mesothelioma + Asbestos Awareness Center wrote on the topic here and here if you’d like to learn more about how the Moonshot Initiative could change the way we see cancer, and affect different rare cancers, like mesothelioma. Thank you for visiting our Cancer Prevention Research & Information post! Tips on cancer prevention or thoughts on the topic? Comment Below! Thank you to www.maacenter.org for this helpful information! Infographics were used with permission. That whole site is very informative, though I would recommend confirming things through reading medical journals etc. All of the information has proven accurate so far, over the articles I’ve read since April. Fair warning: there is a fair bit of marketing on the site. My father in law was diagnosed around Christmas and a good friend lost her daughter a couple years ago so I’ve been reading amd researching like crazy. Fascinating stuff and cancer is NOT a given and cancer is NOT a death sentence. God dropped The True About Cancer documentaries in my lap right when I needed them and I’m so grateful!